Cooper and Packrat’s 3rd adventure has arrived! The stakes have never been higher for Cooper Wilder. When an accident puts Cooper’s dad in the hospital, Cooper must shoulder some new responsibilities. But he’s distracted. 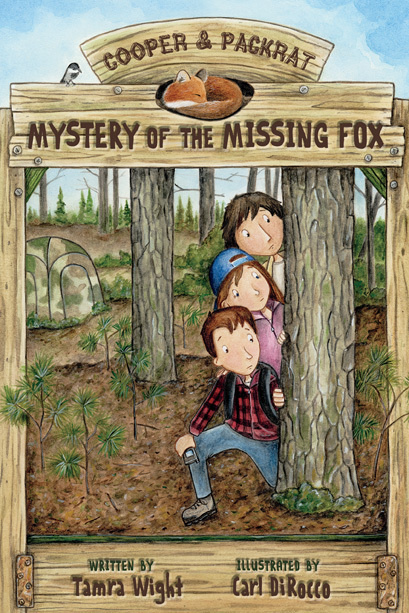 First, he and his friends find a fox caught in an illegal trap on the campground’s land. Then kits start to go missing from the fox den. Who would want to catch foxes? And why? Cooper, Packrat, and Roy must protect the den, find the kits, and rule out Summer, the new girl who lives across the lake, as a suspect. Juggling new campground duties, feeling guilty over his father’s accident, and desperate to help the fox kits, Cooper must make some tough decisions . . .